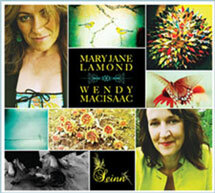 Mary Jane Lamond » Nach Till Thu Dhòmhnaill? Fonn: Ó a iù nach till thu Dhòmhnaill ? Ò a hì nach till thu Dhòmhnaill ? Ó a iù nach till thu Dhòmhnaill ? Ach réiteach agus banais ‘s pòsadh. Ò a hì will you not return Donald? Ò a iù will you not return Donald? One day as I rambled the moor. Whom did I happen upon but Donald. We began to flirt playfully. Our flirting came to grief. He took a small knife from his pocket. River (An Abhainn Mhòr) as recorded by Helen Creighton.